(AKA: Diamond Fork Arch) Grit sandstone, a bit loose. Its in need of some climbing love, going for the last bolt would be the crux. Its a gnarly climb and its way out of the Wasatch Range ordinary. Your in for a treat climbing next to the Diamond Fork Arch! As you pull into the Red Ledges parking lot walk to the far east end of parking lot and look to the north east and there is an arch just right infront of you 40 ft. The climb is just to the left of the Diamond Fork Arch. Approx 6-8 bolts then chains. 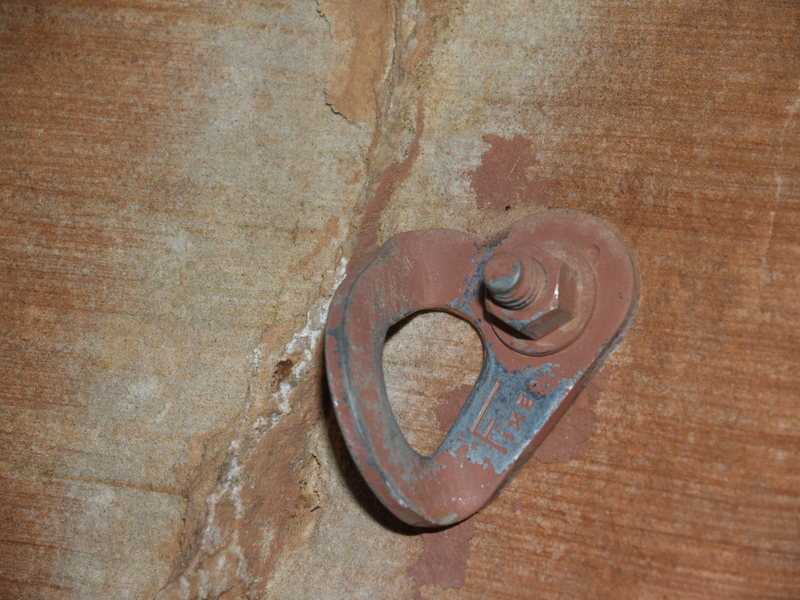 I've avoided this route since it is equipped with 3/8" stud bolts in super-soft sandstone. Climb at your own risk. 3/8" stud bolts in soft sandstone?